I get all the exercise I need by jumping to conclusions, climbing the walls, bending over backwards, sticking my neck out, pulling out all the stops, and pushing my luck. It’s an old joke. And while I don’t avoid all forms of exercise, I am not, by any means, a marathon runner. 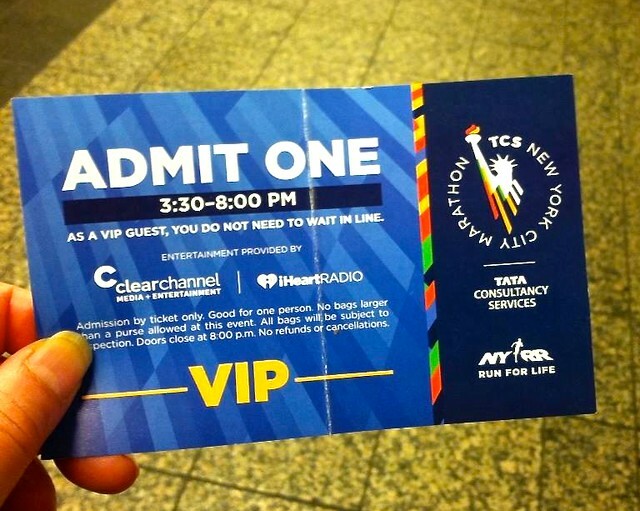 So when a stranger offered me a VIP ticket to the New York City Marathon Eve Dinner, I didn’t know what to expect. 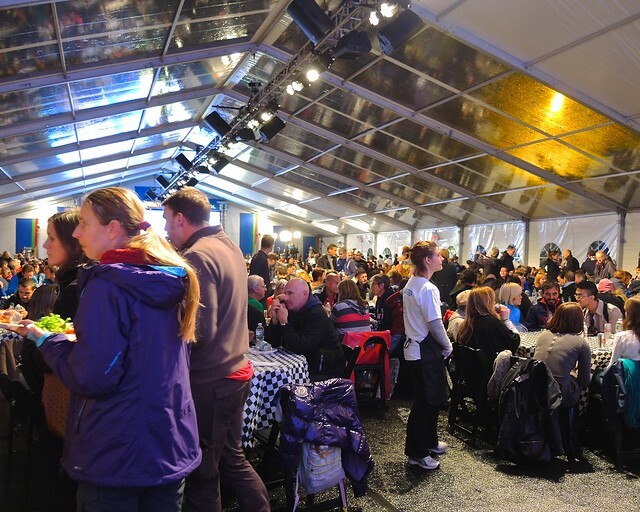 The dinner, held in an enormous white tent erected inside Central Park, was open only to ticket holders. My VIP ticket meant that I was able to walk past the long line of runners waiting in the chilly night air. 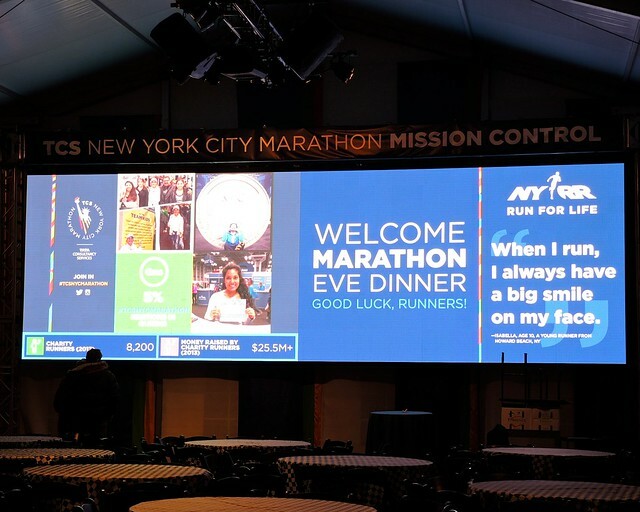 As it turns out, the Marathon Eve Dinner is a beloved tradition of the race that was first organized in 1970 by Fred Lebow and Vincent Chiappetta, co-presidents of the New York Road Runners Club. That year, one hundred and twenty-seven men ran around Central Park and 55 crossed the finish line. Today, New York’s is the largest marathon in the world, with over 50,000 participants from around the world. 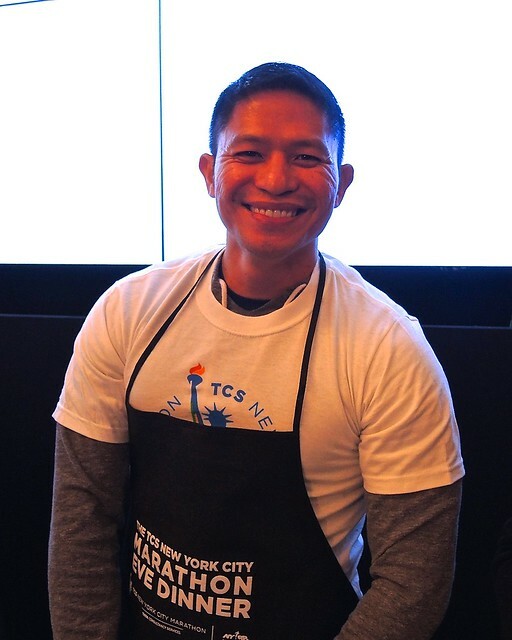 The current course goes through all five of the city’s boroughs, where an estimated two million spectators line the streets, highways, and bridges that are closed for the race. 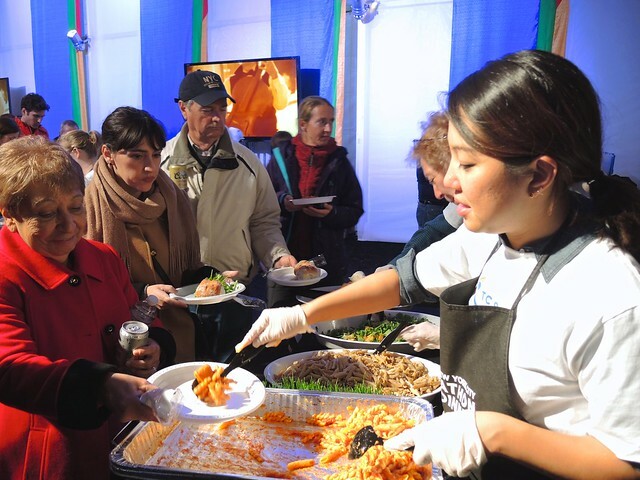 Because authorities say that a large intake of carbohydrate rich foods before a marathon can increase stamina and enhance performance, the night’s menu featured salad, two pasta dishes, and beer—all with unlimited refills. 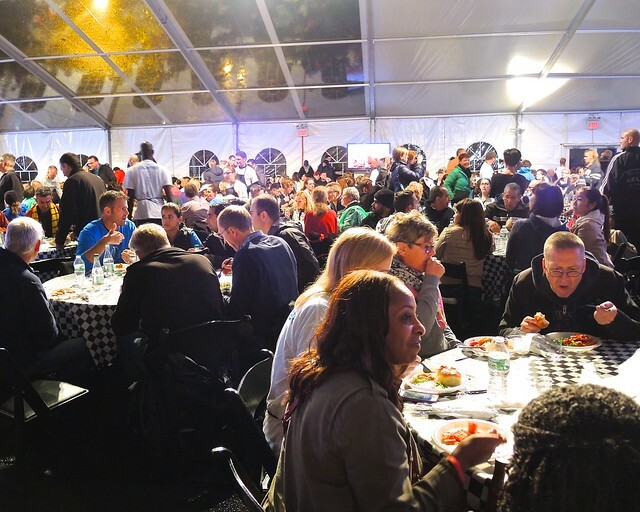 While they listened to speeches, watched presentations and ate and drank, the polyglot crowd laughed, exchanged tips, recounted past races, and formed friendships. 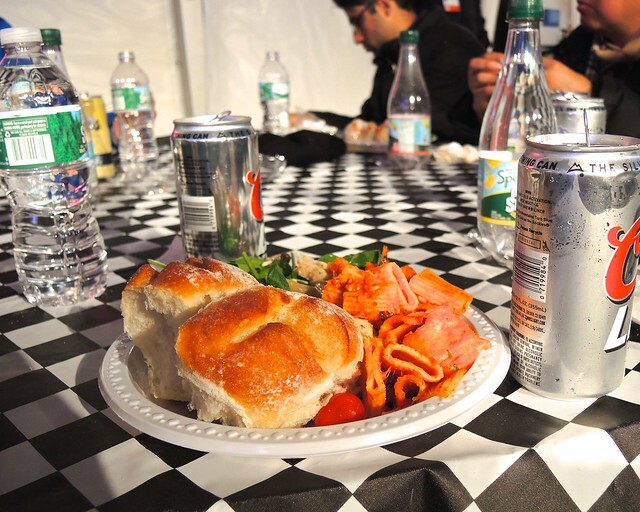 And then, quickly, the beer and spaghetti-filled runners withdrew to their hotel rooms, eager to get some sleep and make it to the starting line early in the morning. 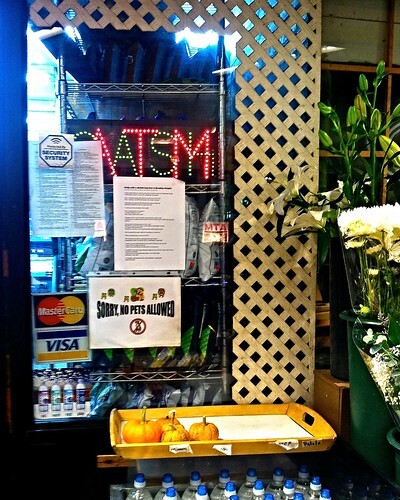 It is just an ordinary Brooklyn bodega near a subway station in Brooklyn Heights. A Chinese guy sees this girl, he talks to her. He knows she live around here. He look for her but he can’t find her. 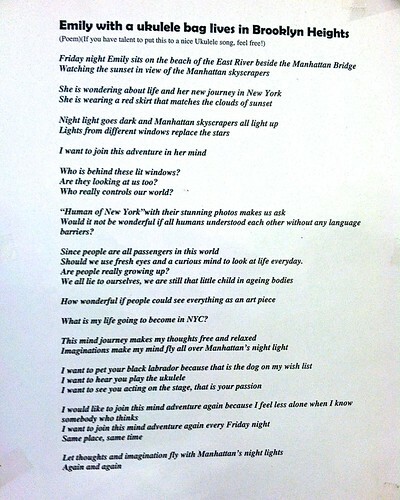 So he write that … poem. He put it on the ATM, on the front, in the back. He put it many places. He thinks maybe she see it. He didn’t put his phone number on it. He put it on the ATM. She see it. She take from ATM machine. No, no, one week ago. I don’t see her again. I never see him. But I think he love her. You are currently browsing the Blather From Brooklyn blog archives for October, 2014.